Hey! 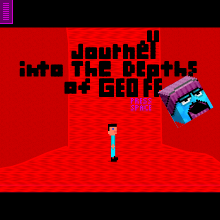 I've gone through my game "Journey into The Depths of Geoff," and I've fixed all the game breaking bugs and made the game much easier so people are able to experience everything it has to offer. Hope you enjoy!